As a product of an alternative high school and alternative college education I have a soft spot in my heart for anyone striving to learn in a less traditional setting. I find the students from the High School Learning Center are wonderful to work with for this very reason. 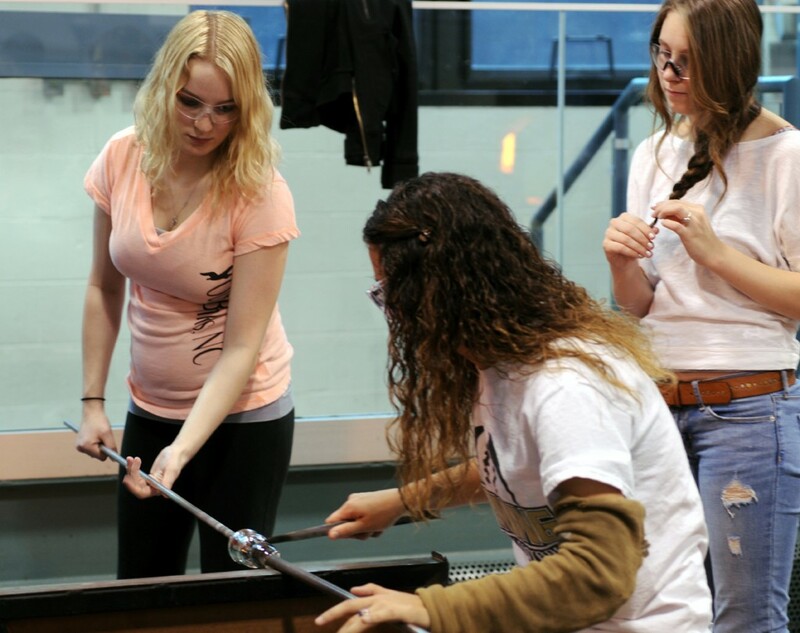 The High School Learning Center (HSLC) at Corning Community College is a place where students elect to go if traditional high school isn’t working for them. There is an application process and standard requirements that students must meet. HSLC students must be between the ages of 16-19 and they must have attended at least one year of traditional high school. Reading, writing and math levels of students are required to be within one standard deviation of the norm. They must meet all of the above requirements and be willing to take the initiative to gather a letter of support from a parent, teacher, guidance counselor and an employer. While enrolled as a High School Learning Center student they also must be employed for a minimum of 15 hours per week. HSLC looks to foster a connection between the student’s academic learning and real world applications. It is through this connection that The Studio of the Corning Museum of Glass comes in. For ten days we get to work with HSLC students, teaching them glassblowing in the fall and flameworking in the spring. 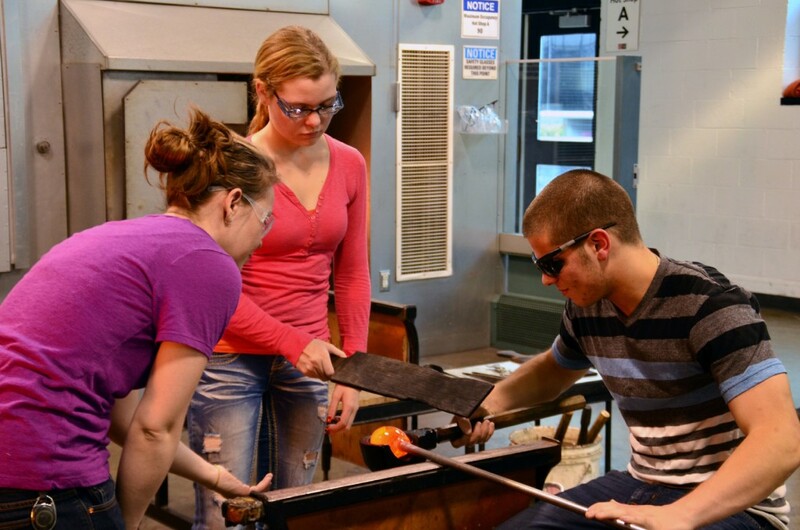 At The Studio, professional glassworkers cover the basics of either glassblowing or flameworking. Gathering, shaping and manipulating the glass are covered as well as how to make basic shapes and products. 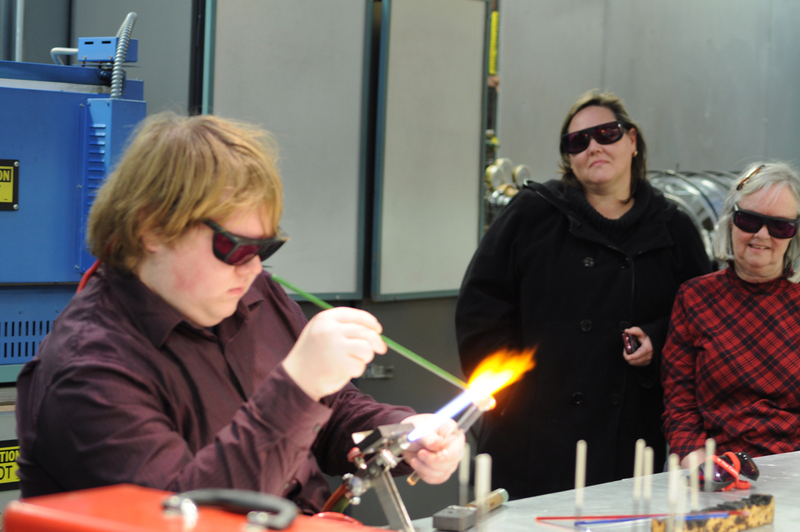 In the broadest sense, we show the HSLC students how to take the raw material of glass and create something out of it. While at The Studio, the students can see that learning isn’t just about studying from books. It can also be about practice and gaining physical skills. Add to this the bonus of getting to play with fire and you have a class that is both engaging and educational. Students learn not only physical hand skills but they also learn less tangible things that apply to their lives. Teamwork is an essential skill in the hot shop. 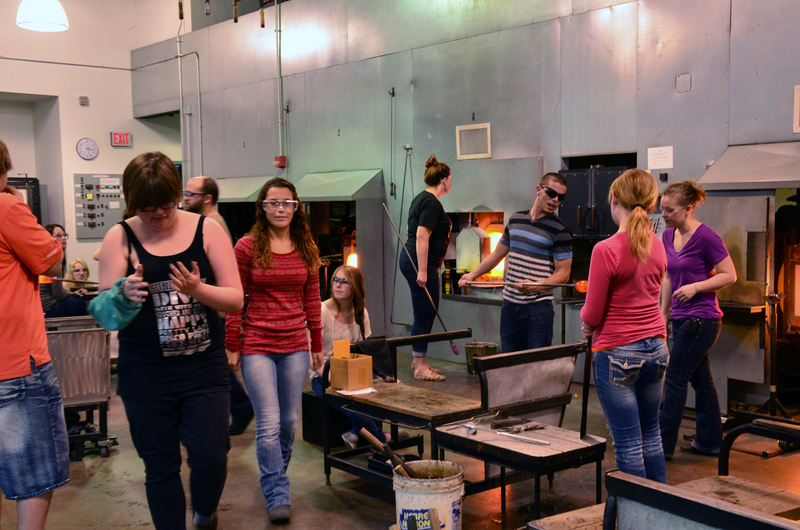 Most offhand glassblowers work on a team to accomplish their goals; in the hot shop class students must work together or they fail together. Communication is key in this respect. 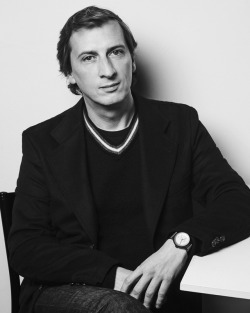 While working in the studio there is a big emphasis on communicating effectively with one another. In addition to teamwork and communication, we also help them learn to fail. In both the flame shop and the hot shop failing is part of learning. Glass breaks. When you are learning to work with glass, a lot of glass breaks. There is nothing fun or enjoyable about watching an object you have worked hard on hit the floor and shatter into a thousand pieces. But you have to try again. And again. And again. 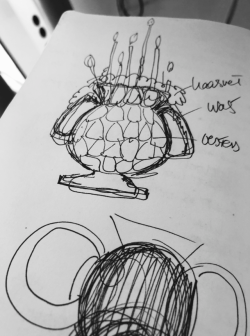 Eventually it begins to make sense. This is an important lesson that glass teaches exceptionally well. HSLC students also spend time with working professionals in a creative field. 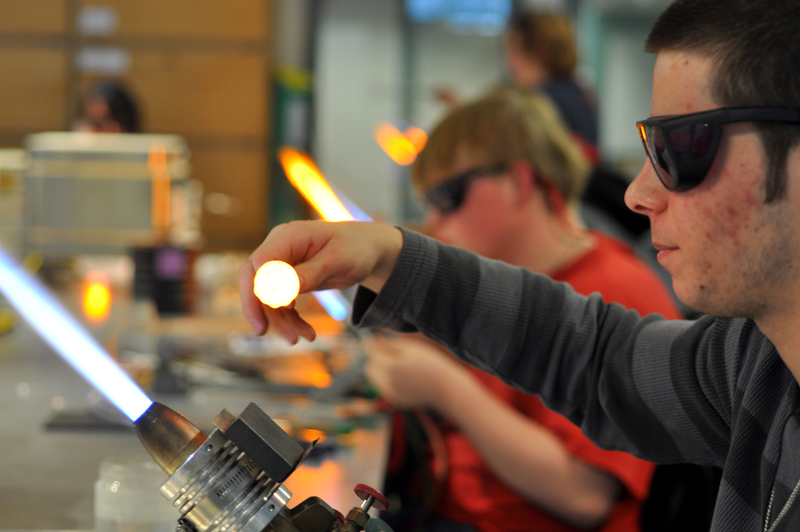 Seeing glassmakers in action opens their eyes to careers they never thought about before. One of my favorite questions last fall was, “You get paid to do this?” Even though most HSLC students will not go on to careers in glassblowing or possibly even the arts, seeing how the world is full of diverse and rewarding work experiences is enlightening. At the end of the class, the students have a reception and a demonstration for their family and friends. We put together a slide show of photos of their hard working during the class. Everyone snacks and there is a chance for parents, friends and family to witness the HSLC students’ newly acquired skills. I think many of them feel a sense of accomplishment and pride over what they have learned and are able to demonstrate. On this last day of demos at least one piece hits the floor, but that’s okay, it’s all part of the process. 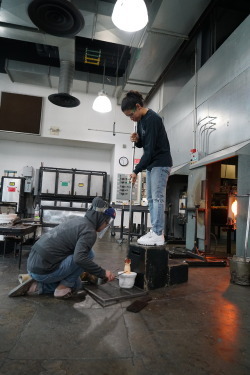 Great blog on our students and our fantastic partnership with the Corning Museum of Glass Studio!